Cheap flights from London/Manchester to Kenya, Sri Lanka from £242! Cheap flights from London/Manchester to Sudan, Ethiopia, Kenya, India or Sri Lanka from £242 return! Looking for bargain deals from the United Kingdom to selected destinations in Africa or Asia check out this promotion of 4* Saudia. (SkyTeam). In some cases you would have to accept long / overnight layover in Saudi Arabia. (Mostly from Manchester, from London you can find flights with better transit time on most of the routes). But if you are looking for the cheapest flights from UK to Asia or Africa this is sale you should have not miss. Fare is inclusive of all taxes, onboard meals and checked-in luggage. You can fly to destinations in Africa such as Khartoum, Addis Ababa or Nairobi. In Asia you can visit New Delhi, Chennai, Kochi, Lucknow, Bengaluru, Colombo or Manila. Saudia promotion from the UK to Asia or Africa is running till 15th of December or until sold out… You will find the cheapest deals when traveling from London or Manchester to below countries between 22nd of September and 10th of December 2018. Seesm that all travel must be completeted by end of the year. Below you can refer to our booking samples. Travel dates vary by each of selected routes. You can compare the cheapest deals directly at website of Saudia. If you want to book your hotel in Africa or Asia in advance you may consider leading hotel booking sites such as Booking.com or Hotels.com. You can save some decent money off accommodation in Hong Kong when using following offers. 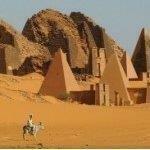 Booking sample of Cheap flights from London/Manchester to Sudan, Ethiopia, Kenya, India, Sri Lanka from £242! As pere our above link to the deal you would depart from Manchester to Khartoum, the capital of Sudan, on 11th of November. Inbound flight from this country in Africa back to the United Kindom on Saturday, 24th of November 2018. Looking for low budget solution consider these discounted deals with Saudia and book cheap flights departing from London or Manchester to African or Asian countries..